John McCanna has been happily married to his wife Margaret, for 33 years. Together with their daughter Theresa and her husband Mark (and their three grandkids), have lived in Milk River, Alberta for the past 11 years. Margaret has recently retired from the Milk River Hospital where she held the position of hospital manager. She is currently on her second term as a Counsellor for the town of Milk River. 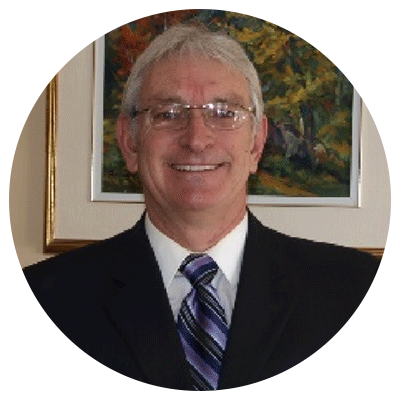 John is the President and CEO of “Global Integrity & Specialty NDT Services”, a successful and International, Nondestructive Testing Corporation, with offices in Calgary, Edmonton, and the USA. John is well known in the NDT service industry. John started his 22-year military career in the Canadian Air Force, where he was selected as a team member of the prestigious Snowbirds flying squadron. Following this assignment, John was transferred to the Nondestructive Testing Group creating and applying inspections to military aircraft and equipment. Upon his retirement, John was approached by the Ontario Power Generation (Nuclear) organization and offered a position of First Line Manager. Later he was seconded to Durham College to design and deliver an NDT Program for full-time Mechatronics Students. Following his time at OPGN, John entered the off-shore Oil & Gas Industry, where he spent the next 10-year performing new construction integrity examinations on pipelines and facilities in many countries world-wide. Upon his return to the Canadian workforce, John spent several years in Northern Alberta before starting his own business.